Why do love and addiction so often go hand in hand? What does the real “Kristina” think about the way her story is told in Crank and Glass? 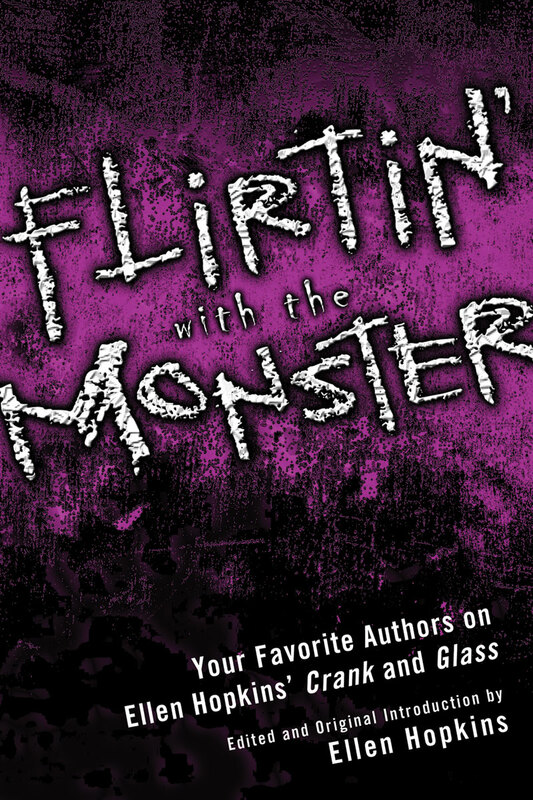 With an essay by Ellen’s real-life daughter (the basis for the character of “Kristina”) that tells her version of the events that inspired the books—along with perspectives from “Scott,” “Jake,” and 10-year-old “Hunter,” the baby from Crank—Flirtin’ with the Monster is a compelling journey through the complexities of Hopkins’ beloved bestselling works. Ellen Hopkins is a poet and award-winning author, with 20 published nonfiction books for children and five New York Times bestselling young adult novels-in-verse. Her sixth novel publishes August 2009. She is currently hard at work on her seventh and says she hopes for a Printz nomination before she reaches her expiration date. Hopkins lives with her husband, 11-year-old son, two dogs, one cat and a “whole mess of fish” on her hilltop estate near Carson City, Nev.